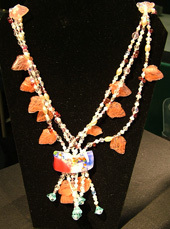 Strung necklaces using the cabochones and pendants Andrea has fashioned many finished jewelry pieces. 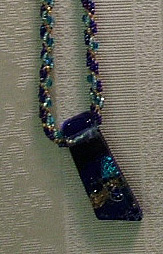 Strung necklaces rythmicly designed to bring out the colors in the pendants. 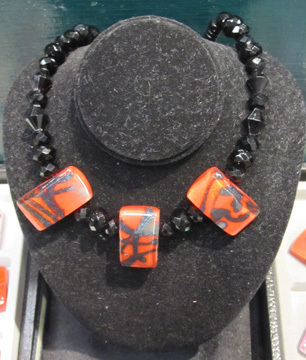 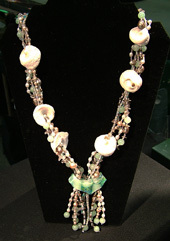 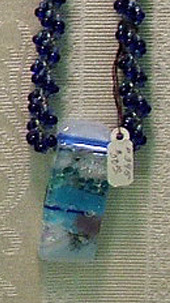 Using a variety of beads (glass, handmade, stone, organics) these pieces are of every day simplicity. 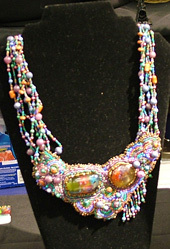 Multistrand necklaces and bracelets (including earrings) convey a theme on a grander scale. 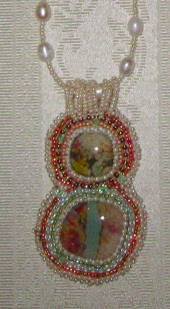 Using 3 hole and 2 hole pieces a special piece comes together with sea, meadow, steampunk, or southwest references. 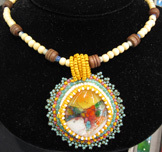 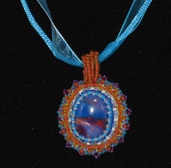 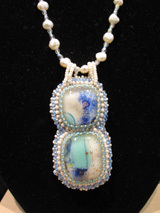 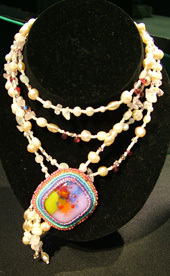 Single and double cabochone beaded embrodiery necklaces emerge out of their colors making a statement in color and synchronicity. 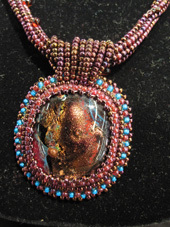 Seeing live as bound in sychonized orbits of influence and complimentaryness. 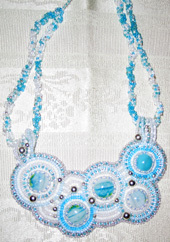 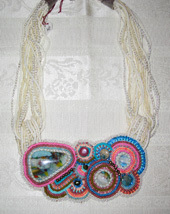 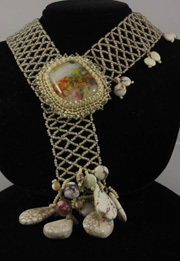 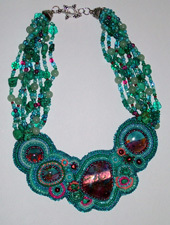 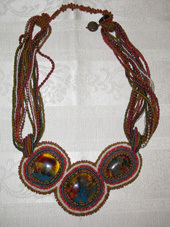 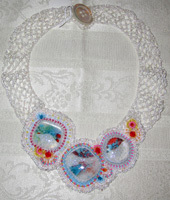 Groupings of chabochones and beads bead embrodiered into collers and bibes make the biggest statements. 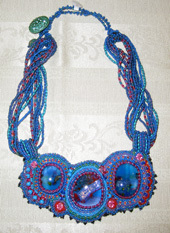 They draw the eye and hold it. 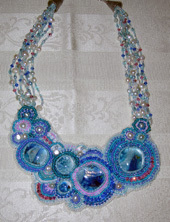 The beholder marvels at the color and slowly envisions the theme. 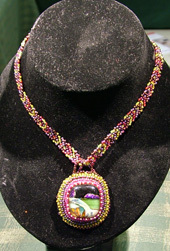 Please do spend some time here enjoying the view. 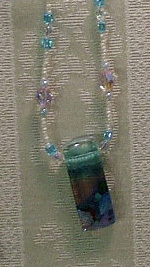 This site owned by Weir Studios.